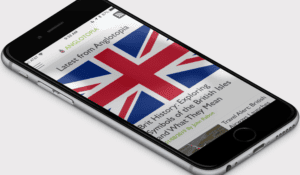 Editor’s Note: This article originally appeared in the Anglotopia Print Magazine in Summer 2017. 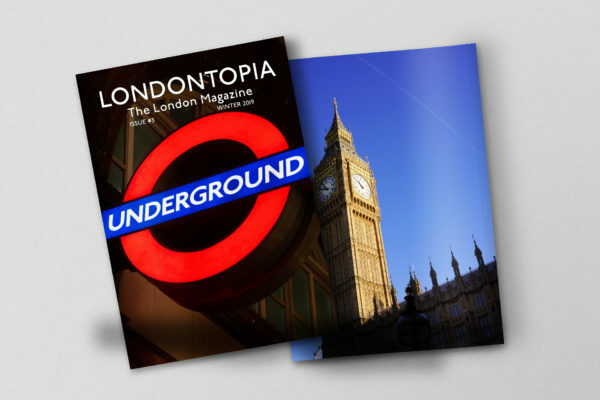 Support great long-form writing about British travel, culture, and history by subscribing to the Anglotopia Print Magazine. 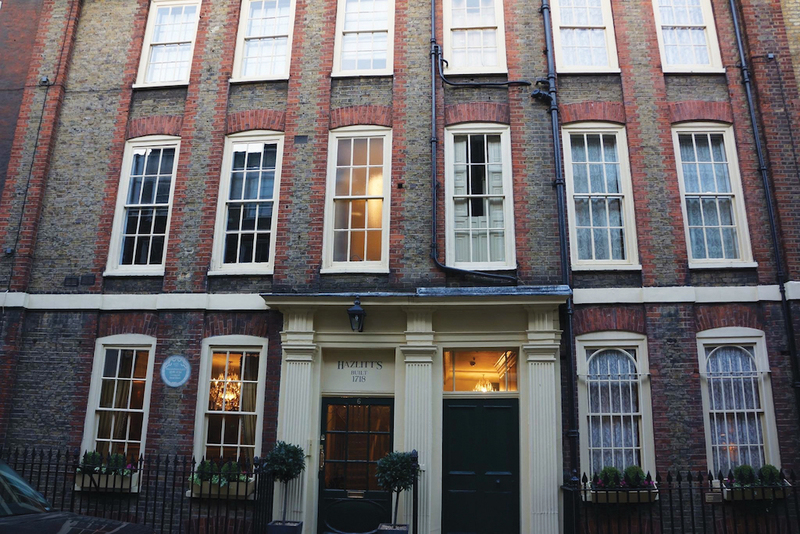 We had the opportunity to stay in London’s Soho neighborhood on our most recent trip. It was the first time we’ve really stayed in the heart of the West End. Normally we’re a little further out, but we were presented with an opportunity to stay at Hazlitt’s, a wonderful hotel right off Soho Square. So, as we stayed there for four nights, we got to experience a new neighborhood in London and explore places we had not been before. Soho has historically had a bit of a seedy reputation and while there are still plenty of clubs, bars and shall we say adult establishments in Soho, the area is now much nicer than it used to be and there’s a wider variety of things to do. Here’s our list of ten things you can do if you also find yourself in Soho. We’re not bar and club people so that this list may come off as rather boring to most. Recently moved to a new location, Gosh! is a comic book and graphic novel haven. You can find most popular comic books but also smaller press graphic novels. I discovered this place by chance while I was having a wander of Soho’s streets and the store is a delight, inviting you in to discover great books. I picked up a copy of Ethel & Ernest, the graphic novel by Raymond Briggs about his parent’s life (recently turned into an animated film by the BBC). Soho Square is an odd place. 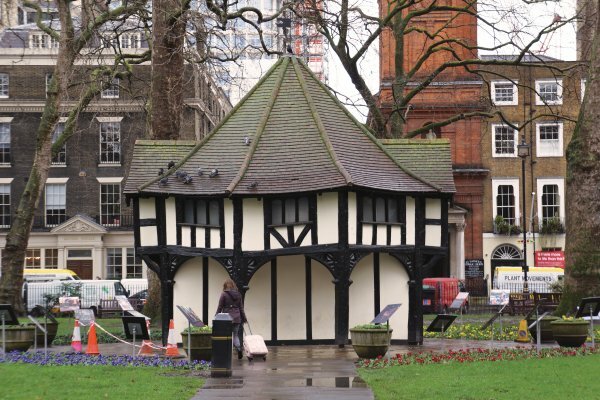 The Square itself, deep in the heart of Soho, is very quiet. Most of the businesses in the square are the head offices of various movie studios and other companies that work in the film industry. It’s a nice place for a respite in the heart of the busy West End. 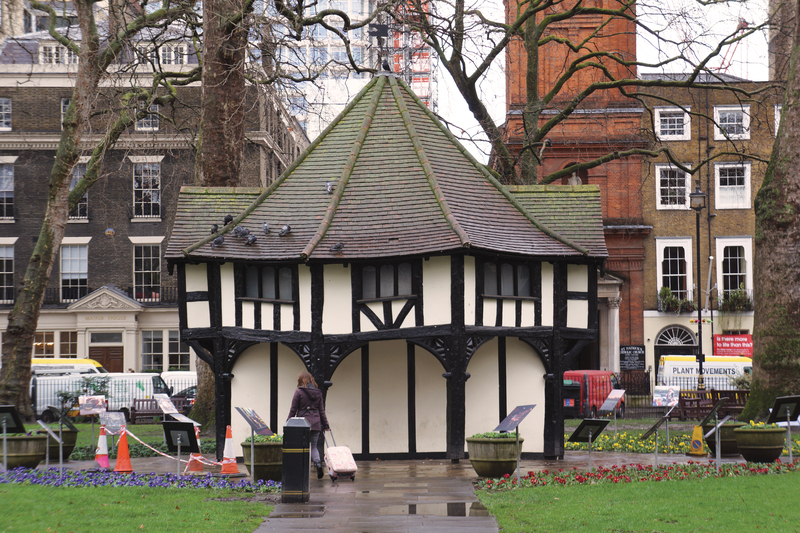 There are benches to have a rest, and there’s a lovely folly in the middle of the square, a former gardener’s hut. There’s also a stately statue of Charles II. 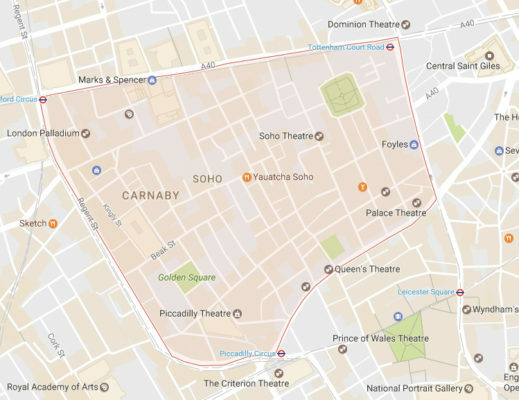 Soho is so dense that many famous people throughout history have lived in its narrow streets. As a consequence, there are tons of Blue Plaques spread all over Soho that tell you about the famous people that lived there. A few to look for: Karl Marx, John Logie Baird (invented TV), Mary Seacole, Sir Joseph Banks and a few others! Download the Blue Plaques app onto your phone to help you search! I stumbled upon this lovely little market when I found Gosh!. Situated on the stretch of Berwick Street, this fruit and veg market is one of London’s oldest. Its roots go back to 1778, and at one point the thriving market ran the length of Berwick Street. Perfect place to get some provisions or yummy snacks. One of the new chains that have proliferated in London in the last few years, Burger & Lobster is one of the best. They service two things and two things only: Hamburgers or Lobster (or a combination of the two). The simplicity of their menu hides the variety of ways you can get your food made and the sides you can get. The food is delicious, and the prices are not too outrageous, even if you opt for the lobster. 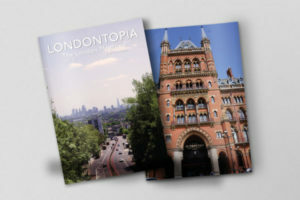 The new location of classic London bookstore Foyle’s is just on the edge of Soho’s boundaries, so it very much counts. 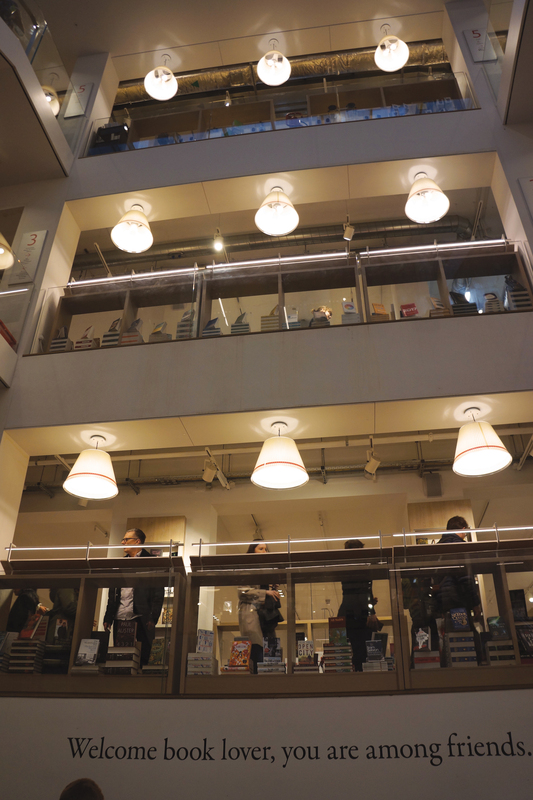 Foyle’s is probably one one of the best bookstores in central London. 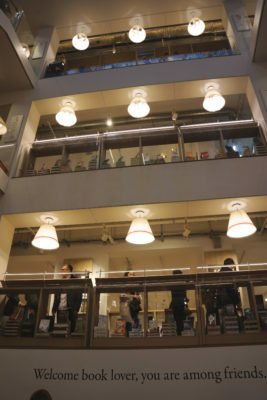 Founded back in 1903, its new location is massive, with multiple floors stock more than 200,000 books on four miles of shelves. Be sure to join their loyalty program as you can get special deals. They will also pack up your books and send them home if, like me, you bought far too many. 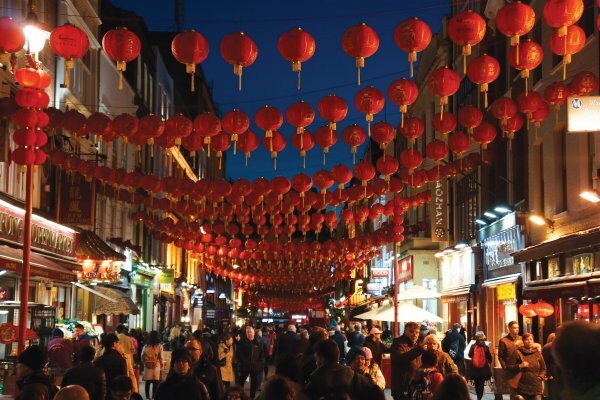 Soho has been home to London’s Chinese community since the 1970s when the area was rundown and real estate cheap. They bought up the area and turned it into a much nicer place. Now any visit to Soho is not complete without a walk down the colorful main street of Gerrard Street. If you want a good Chinese meal, this is the place to get it (tip: go to the ones full of Chinese people, they’ll know the best places!). The most popular thing to do in Soho, of course, is to see a play! Many of the area’s theaters have been around for hundreds of years and are full of character, despite having to adapt for modern audience needs. There’s something special about a lovely meal in the West End followed up a show (and most restaurants will have special pre-show bookings). Located just behind Oxford and Regent Streets, Carnaby Street was made famous when it was the epicenter of Swinging 60s London, known as the place to get all the fashionable clothes and gears needed to be cool. While the 1960s was its heyday, the street is still a fashion destination with many boutiques you will only find on Carnaby Street. The corridor is now pedestrianised so there’s no traffic and you can shop and eat to your heart’s content. This is a department store that’s not like any department store you’ve ever been in. Instead of stocking everything in traditional departments, the store focuses on unique items and fashion across several floors of its iconic Tudor timbered floors. There’s something for everyone here from knitting yarn and fabric to dresses and their famous print scarves. This story is always evolving, and it’s worth visiting just to have a look at the architecture. This stop is for true Harry Potter fans. Tucked away on Greek Street, this exhibition and shop is a tribute to the work this graphic design outfit did on the Harry Potter films (named after graphic designers Miraphora Mina and Eduardo Lima). The House boasts four floors of distinctive designs on display, from the graphic art of the Warner Bros. Pictures’ Harry Potter film series and Fantastic Beasts and Where to Find Them to a series of illustrated classic fairy tale books for Harper Collins. There are ample displays and a shop to bring home your own cherished Harry Potter souvenirs. 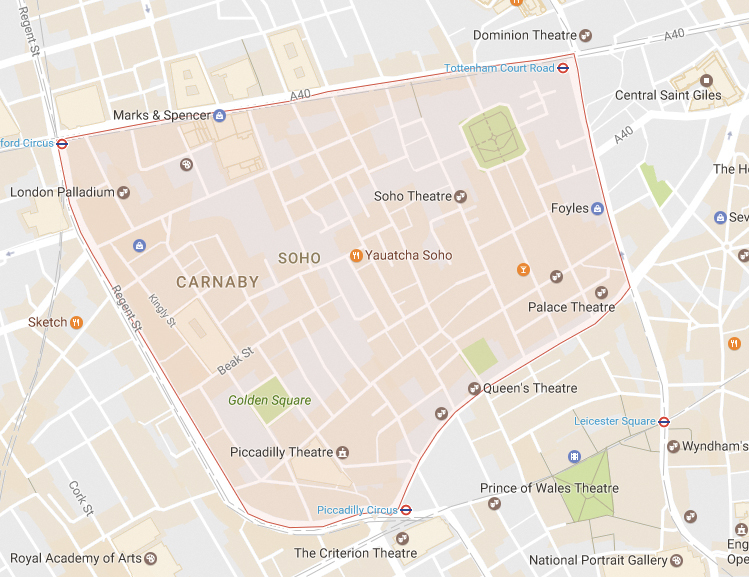 This area is well served by the Tube, and you can get out at Oxford Circus, Tottenham Court Road, Piccadilly Circus or Leicester Square. The whole area is very walkable. Any taxi driver will know where to take you. 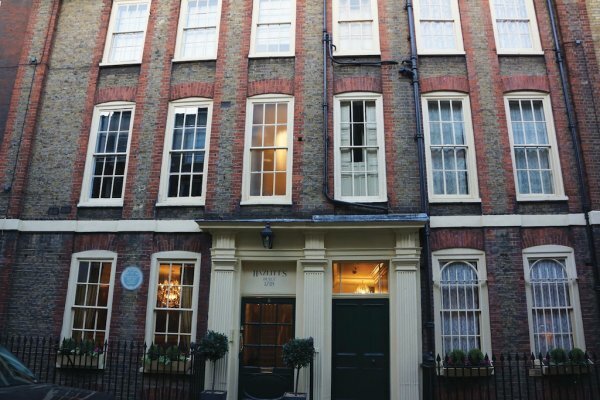 If you fancy staying in the heart of Soho, we can personally recommend Hazlitt’s, a lovely boutique hotel in a beautiful old Georgian house with famous London literary connections. Each room is unique and the hotel features a library that you can use to entertain guests (and the hotel will provide ample free tea). 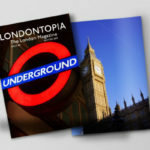 It’s also minutes walk to most of the attractions listed in this article and further afield in the West End. It’s a great central location and a character filled hotel. My Great Grandmother was born at number 10 Berwick Street in 1854. In the 1950’s the lady who lived next door worked as a dresser in Liberty,s fashion department, and when they had a fashion parade it was her job to have the outfits cleaned and pressed for sale to staff. She used to bring me lovely things which cost me about £2. 10s instead of £15 the shop price. I must have been one of the best dressed 20 year olds in our part of London! The average wage for a woman doing say office work was about £8. The article brought back good memories, thank you.